PT. Binaga Ocean Surveyor is a Marine Surveyor Company at Batam, Indonesia to across all Indonesian Ports. Marine Surveyor from PT.Binaga Ocean Surveyor has an experienced team well in Marine Survey and Inspection Services on call and available 24 hours to ensure your marine survey & cargo survey requirements are meet across all Indonesian ports especially at Batam, Indonesia to support your project well. As an independent professional marine surveyor & consultancy company, PT. Binaga Ocean Surveyor standing under the license of the Government of Indonesian Republic to firm delivering a wide range of marine survey business and cargo inspection services to numerous customers especially shipowners, charterers, operators, shipper and agents, and much more clients. With motto “Fast Response, Experienced Team & Integrity” PT. 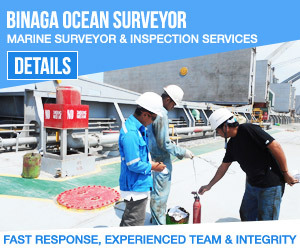 Binaga Ocean Surveyor have business tagline as Marine Surveyor and Inspection Services, your Business Partner for Marine Survey from Batam, Indonesia to across all Indonesian ports. PT. Binaga Ocean Surveyor or called as BOS SURVEYOR was establish at Batam, Indonesia as Marine Surveyor Company and Inspection Services, we can conduct for all kinds of marine survey and almost all Marine and Cargo Survey activity and another marine services like P&I Matter Survey, Insurance Surveyor, Petroleum and Chemicals Survey including Agriculture foods materials as Crude Palm Oils survey for Loading and Discharging Survey. PT.Binaga Ocean Surveyor have mission is to provide the highest degree of quality service with integrity, fast response and experienced team well for marine surveyor and inspection in all maritime business and energy fields through a combination of our expertise, qualified and dedicated staff over global network. And Vision of PT. 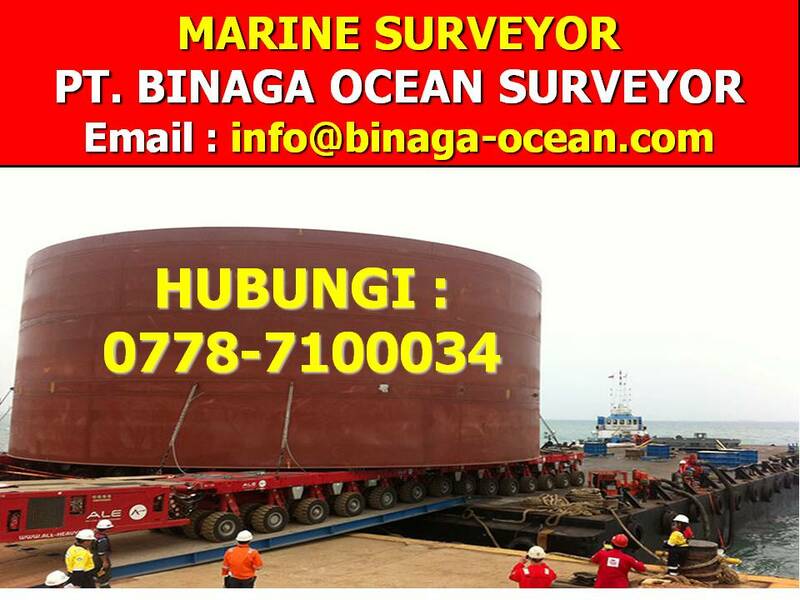 Binaga Ocean Surveyor is being a bigger professional marine surveying company at Indonesia and over the world which providing the best marine services according to international standard. Our marine surveyor team from PT. Binaga Ocean Surveyor can perform to conduct all of Marine and Cargo Survey working jobs and also for Liquid and Gas Survey and also Laboratory test for Petroleum product as our scope of services. Our Marine Surveyor and associates all share this common culture, comprised of five universal values: Pride, Determination, Commitment, Quality and Integrity. These are much more than words. Our culture is a tangible force, one that transcends geography and language, and permeates everything we do as a company. As the credible marine Surveyor private company within the Indonesian marine surveying and marine related industry of experienced, PT. Binaga Ocean Surveyor network can respond to and fulfill our client’s needs promptly. Our local knowledge, professionalism, expertise and integrity ensure that our client’s risks are minimized. BOS SURVEYOR has personnel of the highest caliber and experienced. We also maintain a high level of technical expertise to ensure the highest quality service. SURVEYOR BOS continues to invest heavily on developing our team to remain ahead of the competition and continue to offer clients excellent service with integrity. Marine Surveyor & Inspection Services, Bunker Survey, On Hire Survey, Off Hire Survey, Condition Survey, Stuffing Survey, Loading Survey, Damaged Survey, Discharging Survey, P&I Survey, Towing & Lashing Survey, On Hire ROB and Condition Survey, Towing Approval Survey, Free Gas Survey, Seaworthiness Survey, the Vanning Survey and much more other kinds marine survey…. In case you have order for marine survey please do not hesitate to CONTACT US.